Powerset, the natural language search engine set to take on Google, has sent out some of the first invites to Powerlabs, its demo testing ground where invitees can see what the buzz is all about. 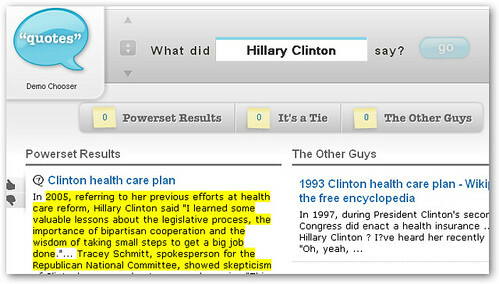 Powerlabs is meant to demonstrate some of the "power" of natural language search by comparing Powerset search results of Wikipedia articles to those of "the other guys" (i.e. Google). You even get to vote for which set of results is better or if they're both tied. 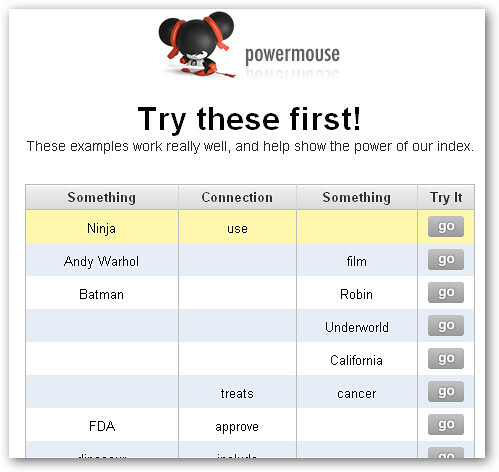 Right now, there are four demos up: quotes, business, PowerMouse, and the arts. 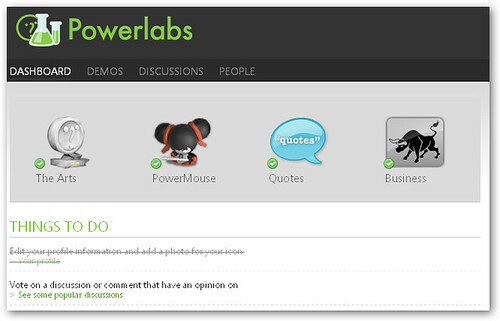 PowerMouse lets you see how Powerlabs extracts information from webpages. The other three demos are straightforward applications that let you do very specific searches such as "What did [fill in the blank] write?" or "Who did [blank] sue?". 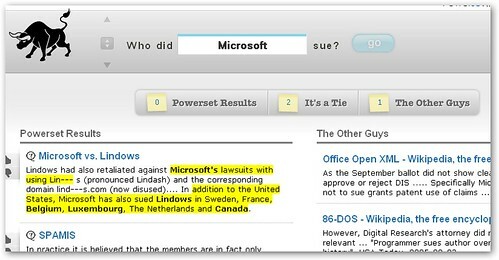 On first glance, it does look like Powerset search results are better with extensive highlighting showing you passages relevant to your query, but it remains to be seen how it does with general webpages-not just the controlled environment of Wikipedia articles.